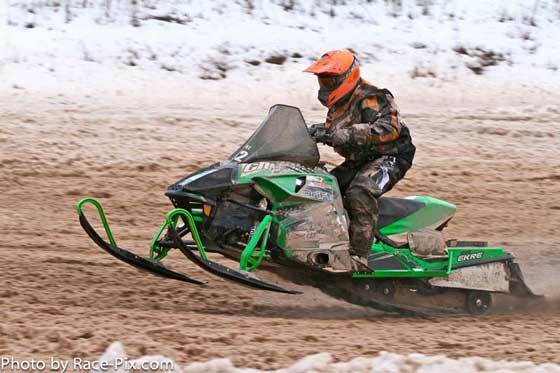 Team Arctic continued its onslaught on the USCC cross-country circuit, winning 13 of 17 classes at the Grafton 100. 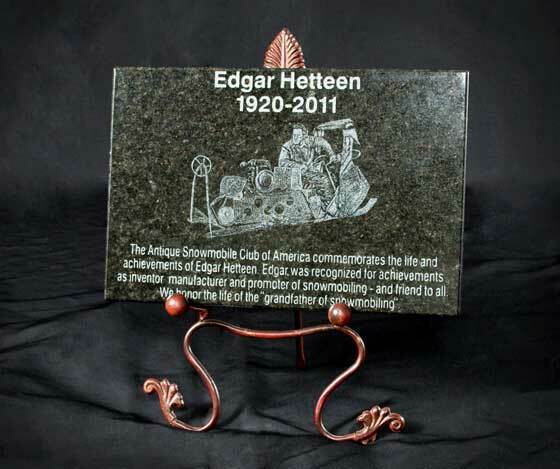 Click to read the company's press release, and to see the top Cat results. 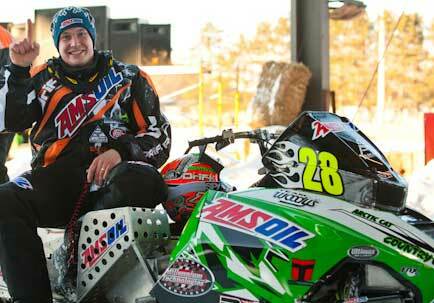 FlyingAFilms checks in with Team Arctic's Dan Ebert, who's been on injured-reserve the past month. 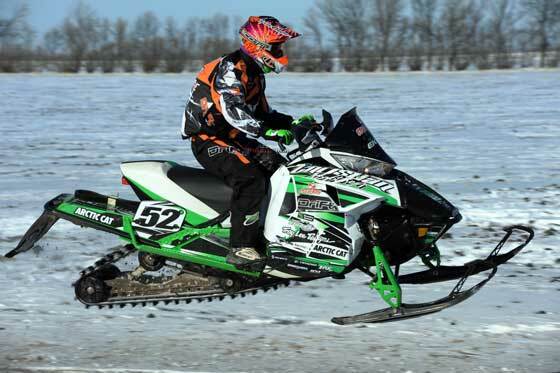 I made the trek to Grafton, ND, this past weekend to watch the first full-on, midwestern cross-country race of the 2012 season. There was river, ditch and...dirt. Pretty brutal conditions. 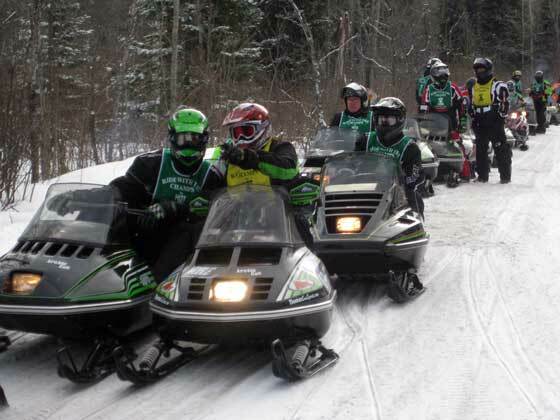 Team Arctic won 13 classes and D.J. 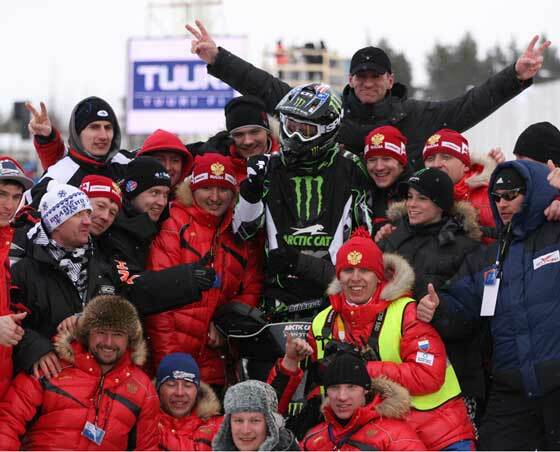 Ekre swept the pro classes. Click to read my report. 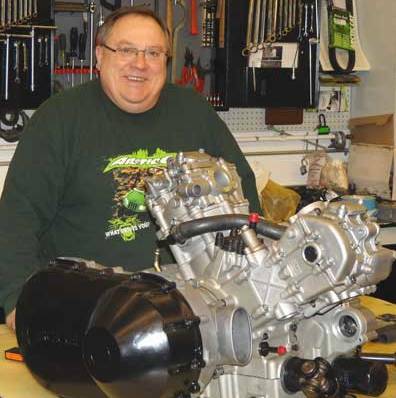 When Boondocker engineered their turbo for the new-for-2012 Arctic Cat ProClimb chassis, they leveraged the opportunity to improve the design...stuff you'll probably see on most of their future turbo systems. Watch the vid. 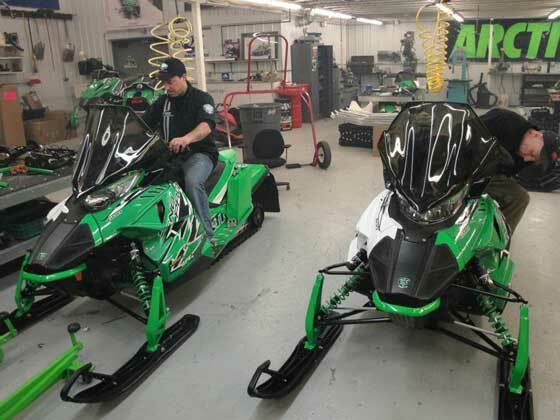 Removing the hood on a 2012 Arctic Cat Turbo (in the ProCross & ProClimb chassis) is a whole bunch easier if you follow the steps outlined in this short video. Christian Bros. 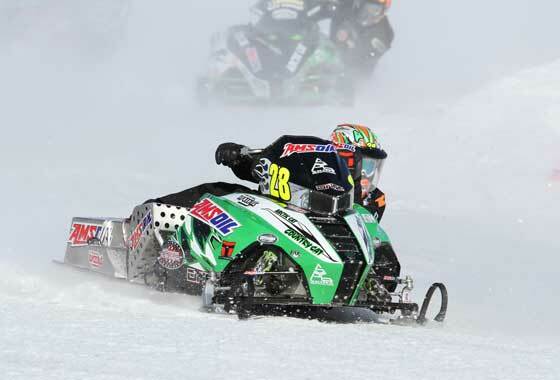 Racing is giving away seven Arctic Cat Sno Pro 120 sleds this racing season. Five more are up for grabs. Will your kids be in the running? 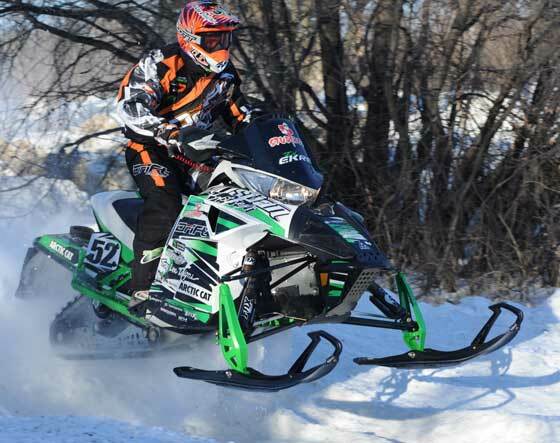 Team Arctic Cat racers/teams scored three of the top-5 positions at the 2012 Soo International 500 enduro in Sault. Ste. Marie, Mich. 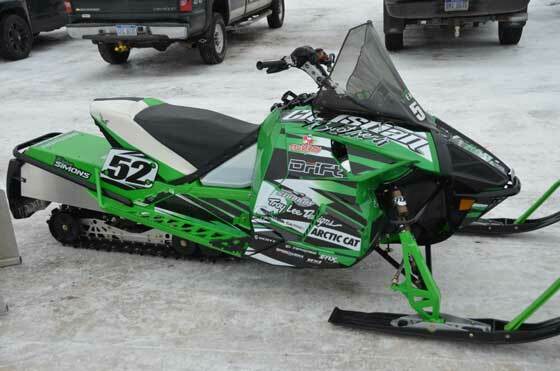 Check out these pix of the Arctic Cat race sleds that will be gunning for victory at the 44th Annual Soo 500 enduro. 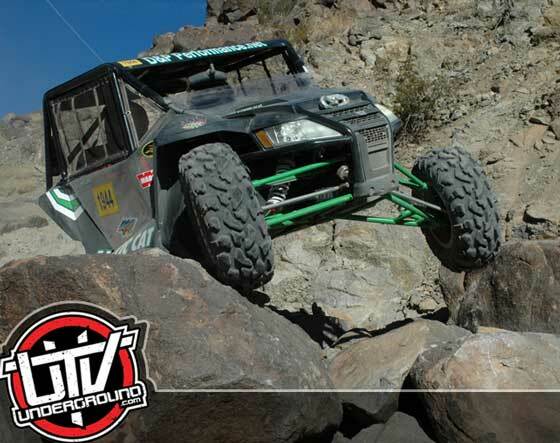 Special thanks to announcer/pr dude/racer Chad Colby for sending the images! 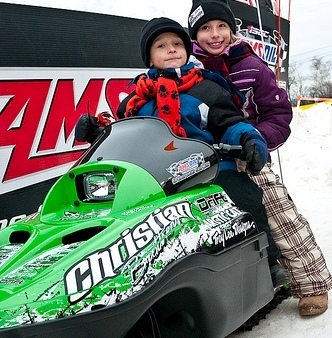 The 1st Annual Vintage Snowmobile in St. Hilaire, Minn., attracted 60 entries, a couple hundred people and some really sweet sleds. It also attracted the Hamm's Bear.